Calen Addison (Pittsburgh Penguins) scored 5:43 into overtime Friday, lifting the Hurricanes to a 3-2 win against the Calgary Hitmen on home ice. 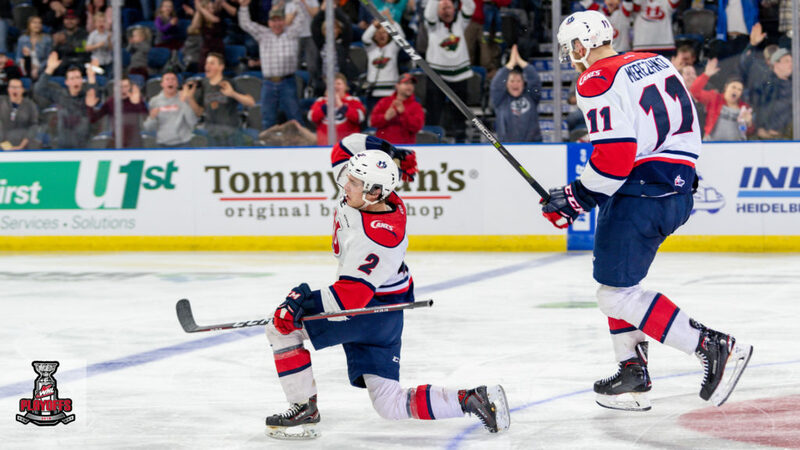 Carl Tetachuk stopped 31 of 33 shots for the win while Nick Henry (Colorado Avalanche) and 2019 NHL Draft prospect Dylan Cozens also scored for the Hurricanes. 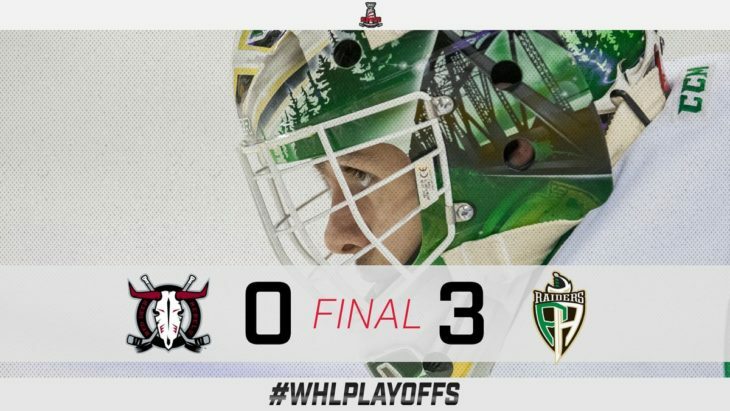 Ian Scott (Toronto Maple Leafs) stopped 21 shots to record the first shutout of his WHL Playoffs career in a 3-0 win for the Prince Albert Raiders against the Red Deer Rebels. Dante Hannoun scored in the first while Ozzy Wiesblatt and Sean Montgomery added goals in the second. 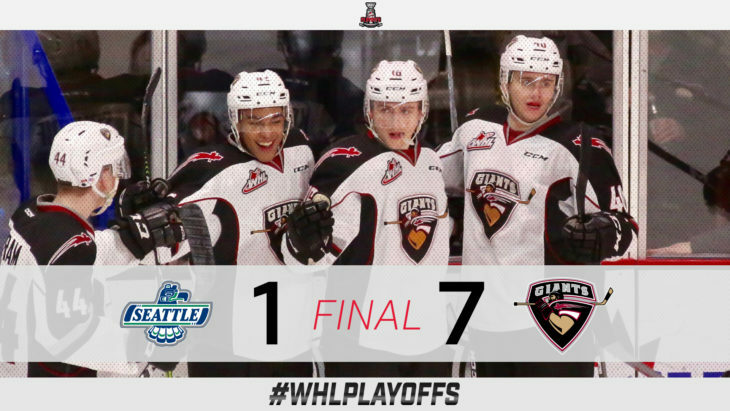 Jadon Joseph and Dawson Holt notched two points (1G-1A) each, along with Dylan Plouffe, who recorded three points (2G-1A), in a 7-1 win for the Vancouver Giants. Scoring the lone goal for the Seattle Thunderbirds was rookie Andrej Kukuca. 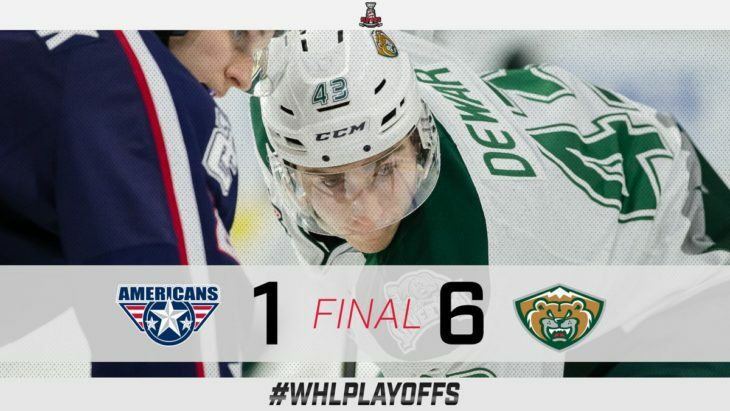 A pair of goals from captain Connor Dewar (Minnesota Wild) and four other multi-point games guided the Everett Silvertips to a 6-1 win in Game 1 against the Tri-City Americans. Martin Fasko-Rudas, Max Patterson, and Jake Christiansen each had three-point games while Robbie Holmes added a pair of assists. 2019 NHL Draft prospect Dustin Wolf stopped 21 of 22 shots. 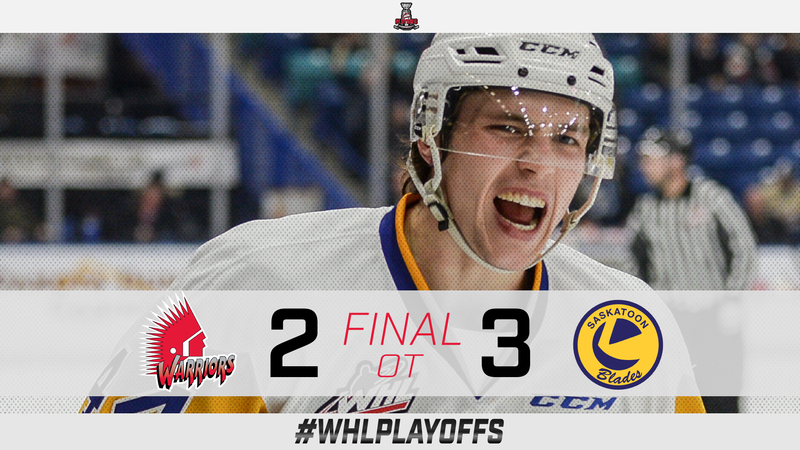 Saskatoon Blades captain Chase Wouters scored the overtime winning goal against the Moose Jaw Warriors to take Game 1 of the series. 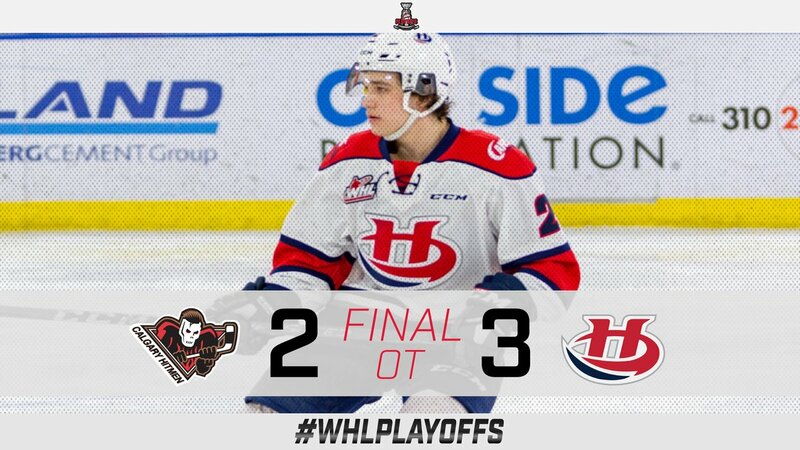 Moose Jaw Warriors rookie Eric Alarie recorded his first career WHL goal and Brandon Schuldhaus collected two points (2A). 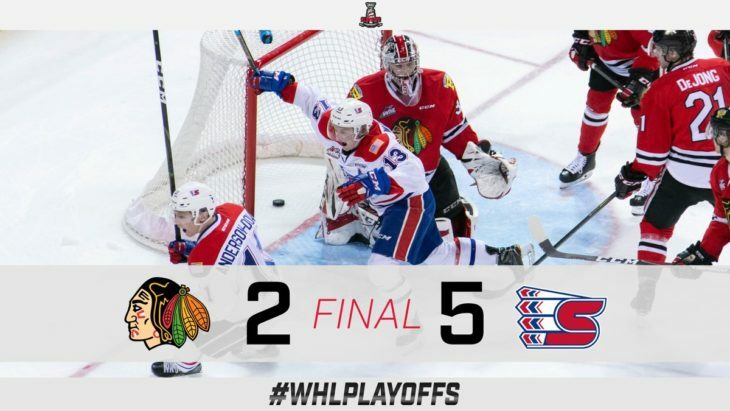 Five-different goal scorers and a 34-save performance from Bailey Brkin guided the Spokane Chiefs to a Game 1, 5-2 win over the Portland Winterhawks. 2019 NHL Draft prospect Adam Beckman, Riley Woods, co-captain Jaret Anderson-Dolan (Las Angeles Kings), Kaden Hanas, and Ethan McIndoe scored for the Chiefs in the home victory. 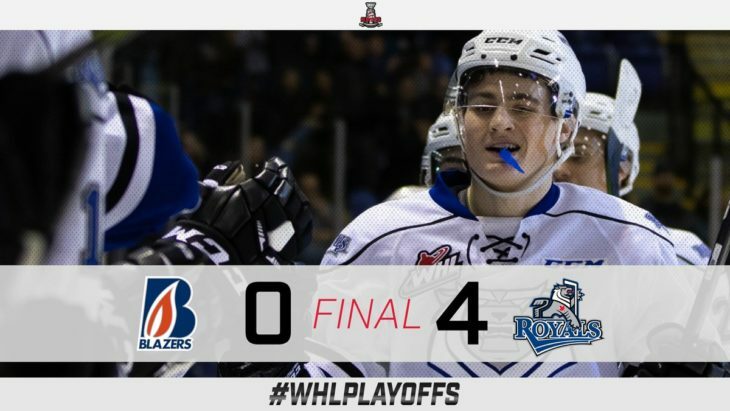 Griffen Outhouse stopped all 28 shots sent his way to earn the Victoria Royals a 4-0 shutout at home against the Kamloops Blazers. Sean Gulka notched the game-winning goal in the first and Dino Kambeitz scored twice while Carson Miller rounded out the offence.